Katie Rich, a writer for Saturday Night Live, launched a personal attack on President Donald Trump’s youngest son Barron Trump. “Barron will be this country’s first homeschool shooter,” Rich wrote Friday in a tweet that has since been deleted. Barron, 10, attends Columbia Grammar and Preparatory School in New York City. President Trump and First Lady Melania Trump’s youngest son has been the victim of personal attacks before. 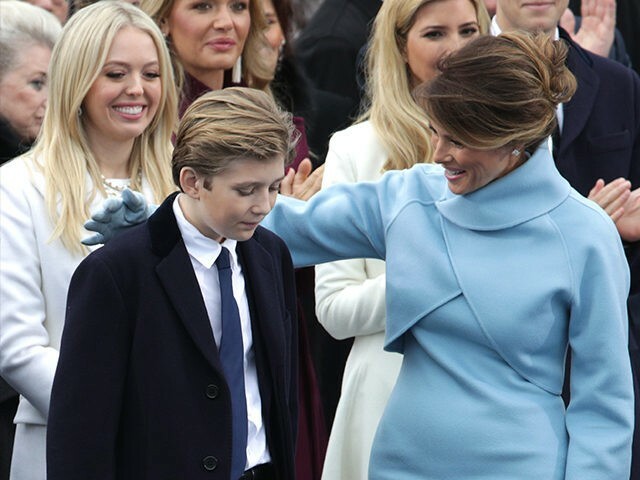 Last November, Rosie O’Donnell, a longtime nemesis of President Trump, posted a tweet which included a link to a video that questioned whether Barron is autistic. O’Donnell defended the tweet before deleting it and apologizing to the Trump family.